A little more than a year ago, the students affected by the Parkland shooting sparked a national movement to combat gun violence. More than a year later, that shooting is still claiming lives. Sydney Aiello, a 19-year-old college student who survived the shooting, a few weeks ago died by suicide after being diagnosed with post-traumatic stress disorder. A few days later, Calvin Desir, a 16-year-old student at Marjory Stoneman Douglas High School, took his own life. These events are not a coincidence. 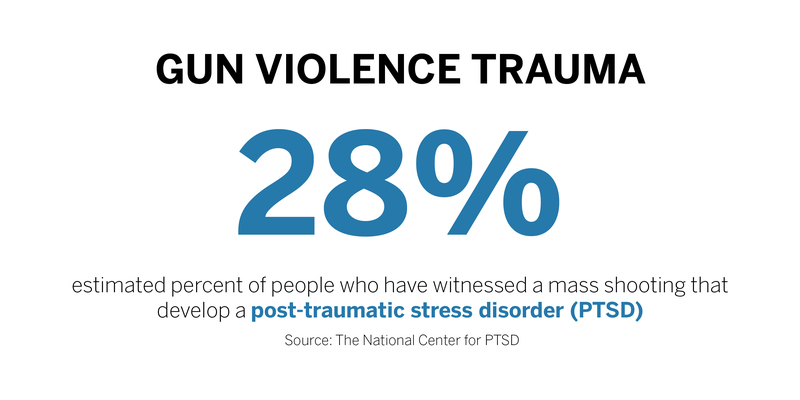 Gun violence directly affects the mental health and well-being of survivors, but it also impacts the entire community. But the trauma of most communities affected by gun violence rarely ever reaches the news. Gun violence needs to be treated as a public health issue, especially in cities like Syracuse, which has high rates of gun violence.